"Come Experience All that the Conservatory Has to Offer!" Close to E-470 and Shopping. Including The New Shopping Complex at the Southlands Mall. Enter to Find Hardwood Floors and Vaulted Ceilings. 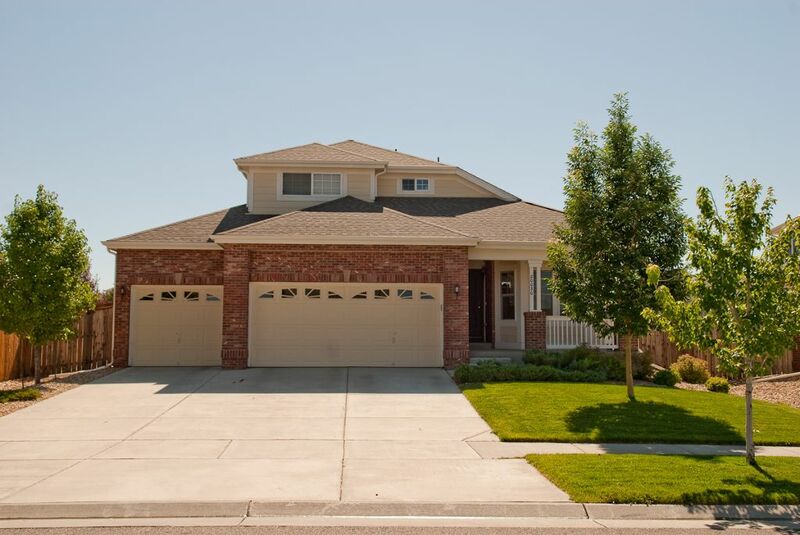 This 1900+ Finished Sq Ft Home Features 3 Bedrooms, 3 Bathrooms and a Huge 11ft x 17ft Loft. The Master Suite is Located on the Main Floor and Includes a 5 Piece Bath with Custom Tile and Large Walk-In Closet. Central Air and the Electric Filter on the Energy Star Furnace Make this Home Feel Comfortable All Year Long. A Nicely Sized Yard is Perfect for Those Long Summer Days. Parking is a Breeze in the Winter with Your 3 Car Oversized Garage. The 772 Sq Ft Unfinished Basement is Great for Storage or Can Be Finished for Even More Livable Space. This is Home is Super Clean and Truly Move in Ready! !